I am not sure where Bert got his information, from what I can tell he based his evaluation on economic and nothing else. In my opinion the review written in Oct, 2015 by Amy in Turtle revealed the true character of Pittsburgh that still holds true today. 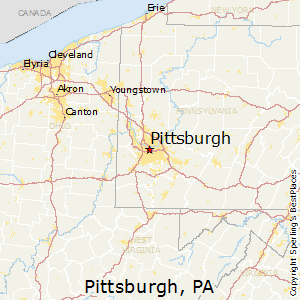 In addition to her comments Pittsburgh is sorely lacking in diversity in all area's that I have listed. *Building alliances across differences so that we can work together to eradicate all forms of discrimination. Hello everyone. I see the rave reviews of Pittsburgh and must comment. I’ve lived in Manhattan, Queens, Bklyn, New Haven & Hartford CT, and rural areas in both states. In Pittsburgh I’ve lived in Squirrel Hill (affluent), nearby Greenfield, Bellevue (middle/lower middle class) Turtle Creek (working class). I was a journalist for 25 years, hitting cities in most areas, researching all. I have enjoyed virtually everywhere but here – even considered moving to Arkansas. 1)	Cost of Living: it's 15.9% lower than average but you'll probably earn at least 15.9 percent less at your job (and probably won't like it if you're boss is UPMC, or so I've been told). -this is one of the most friendly places I have ever been. -the entire area has unbelievable character, the architecture makes you feel like you have steped back in time to a late 1800s industial city. Everything is brick, there are old smoke stacks and remenants of the steel industry everywhere. -in TX the weather is great but it is unavoidable that the sun will fry your skin. In Pittsburgh it is cloudy a lot but that results in people staying way younger looking. I often can't tell if a woman is 45 or 30. When the sun does come out the landscape around Pittsburh is beautiful lush green mountains checkered with patches of golf course like grass around the houses.